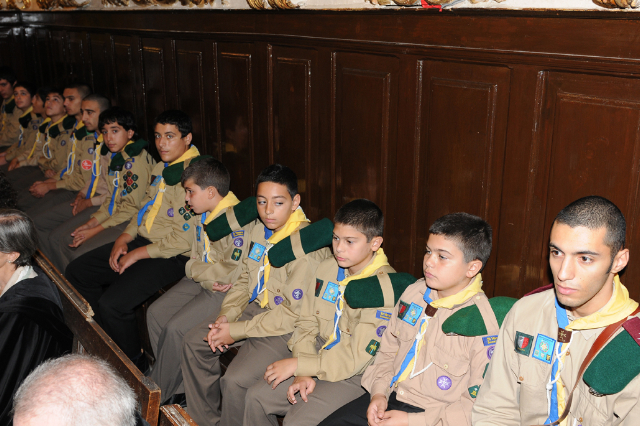 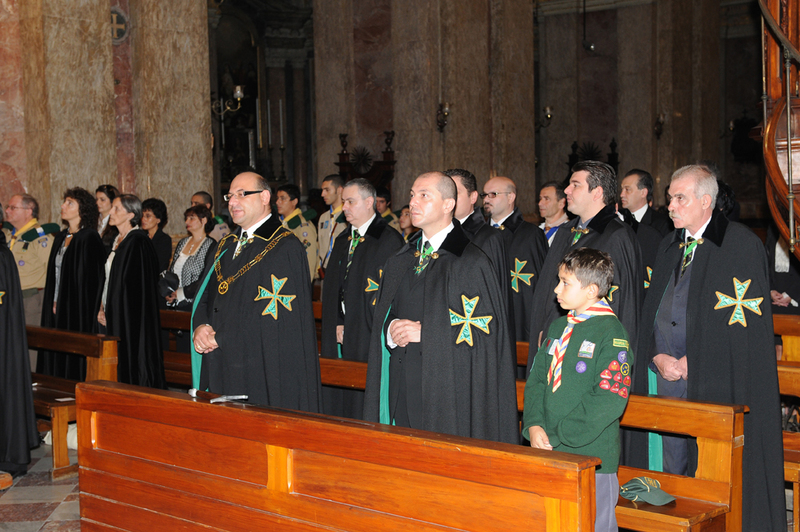 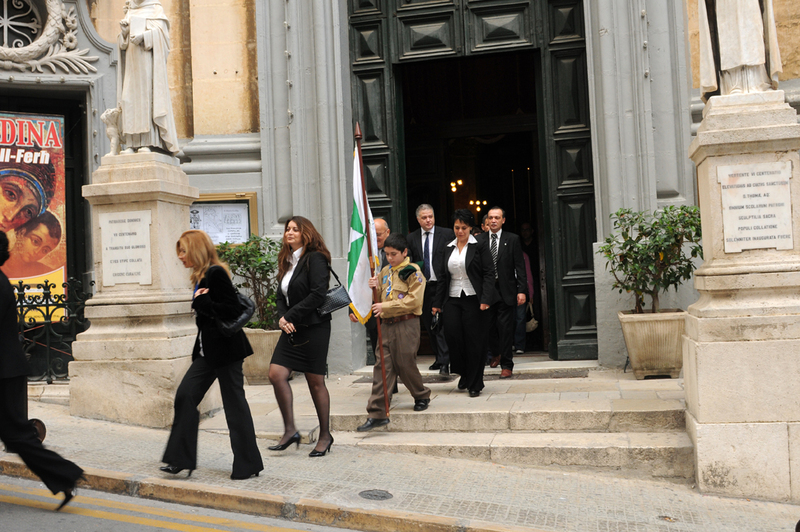 The seventeenth investiture of the Grand Priory of the Mediterranean was yet again another success with the confreres and consoeurs congregating early on Saturday morning at the majestic Basilica of Saint Dominic for their thanksgiving mass and investiture service at the Hall of Investitures. 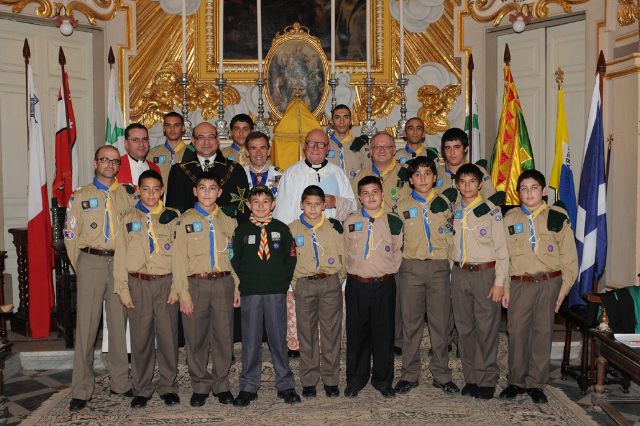 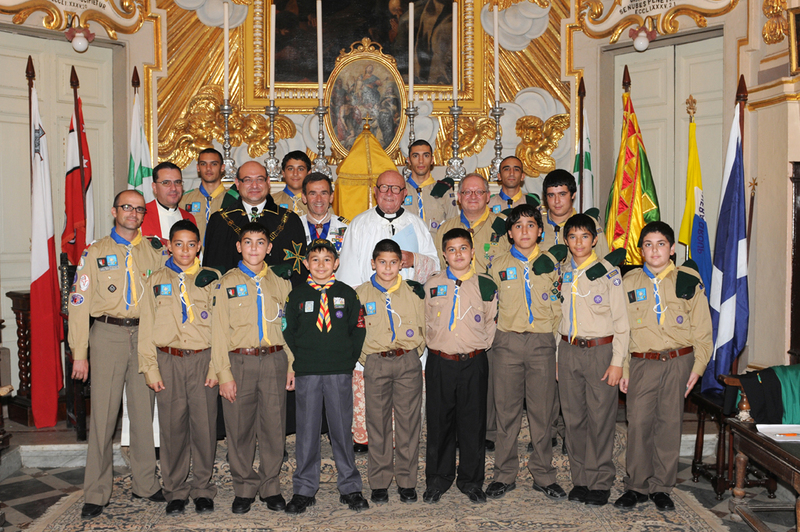 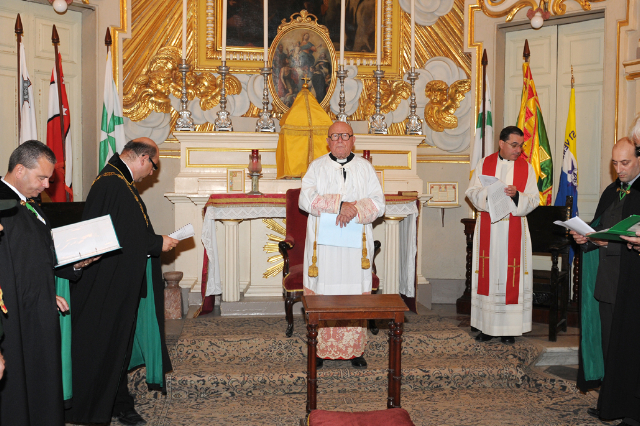 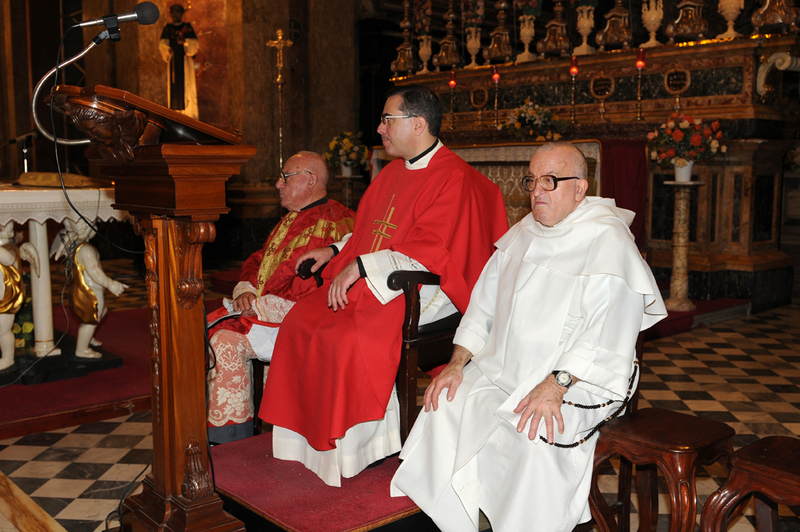 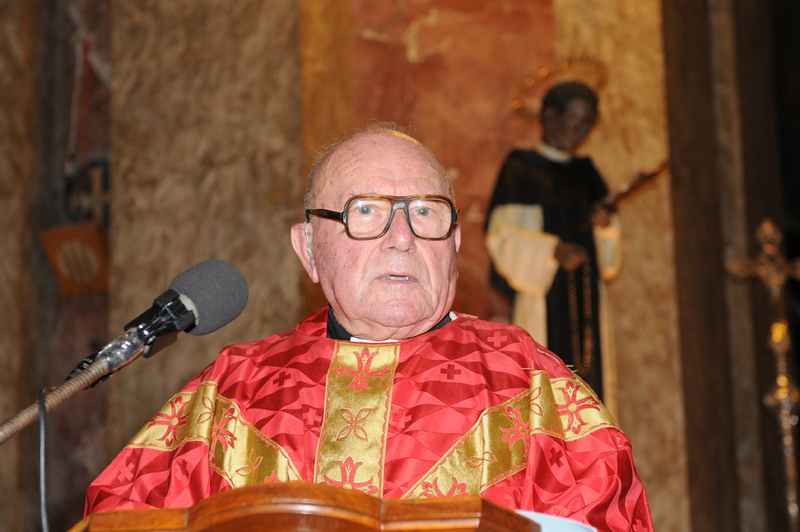 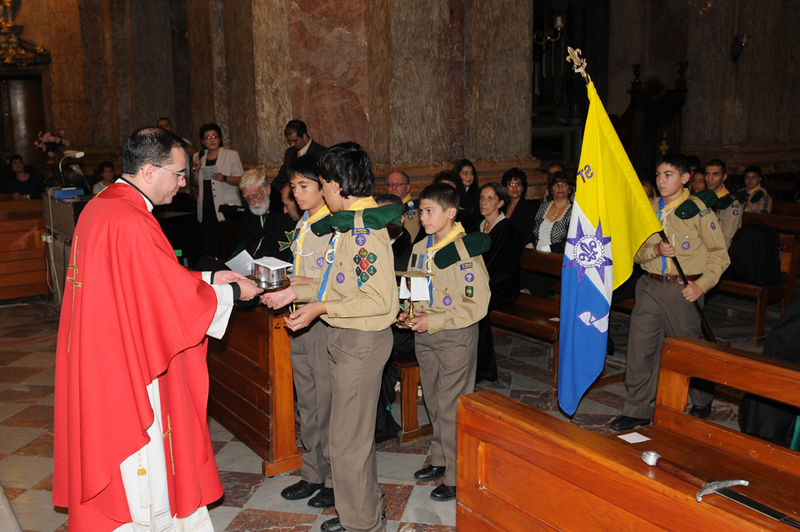 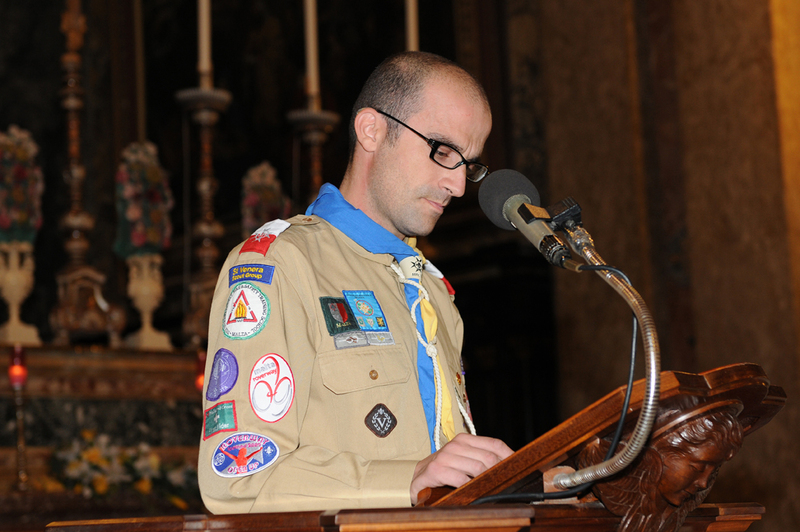 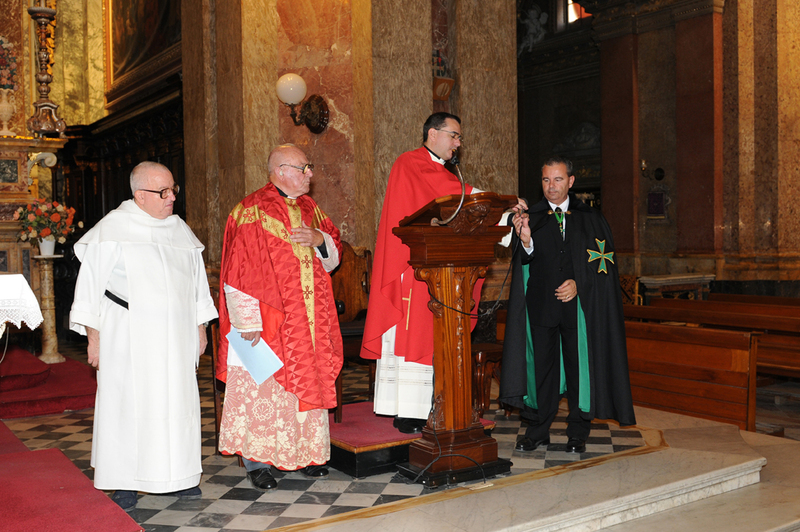 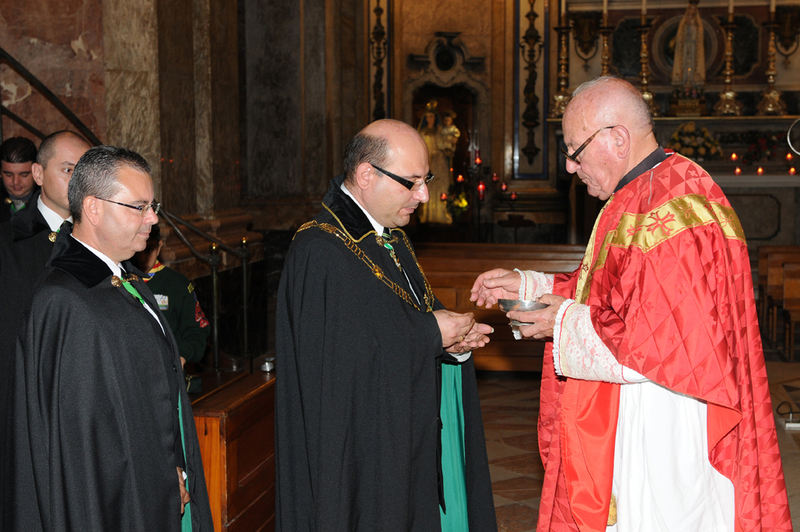 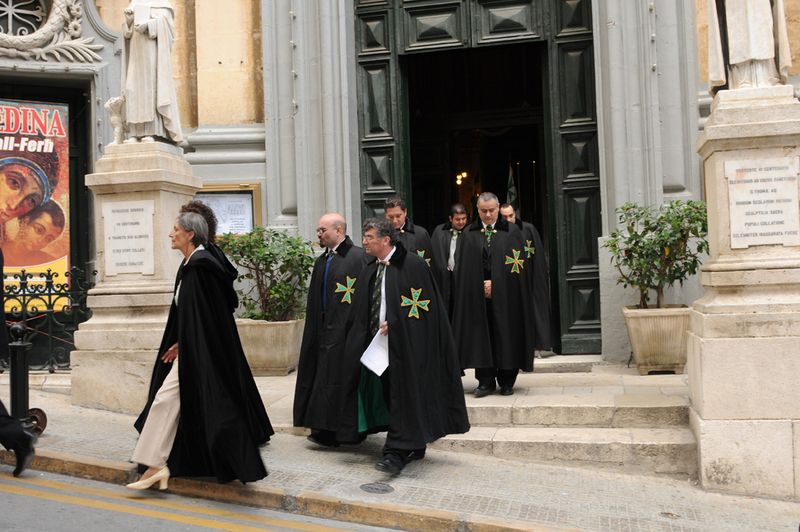 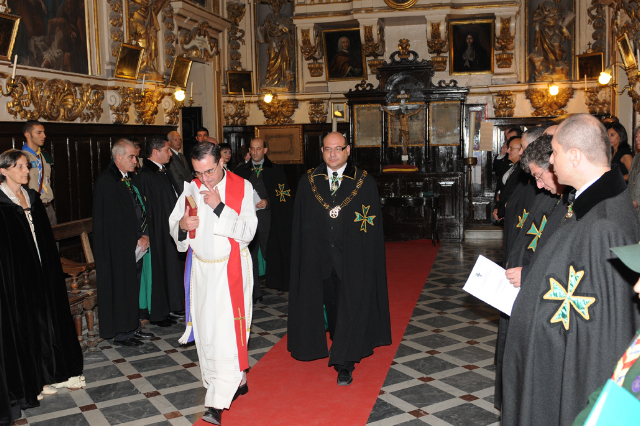 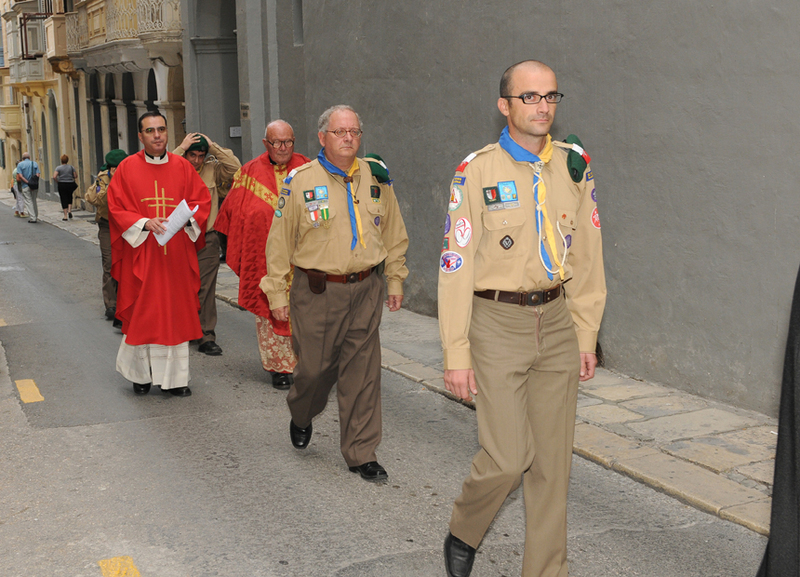 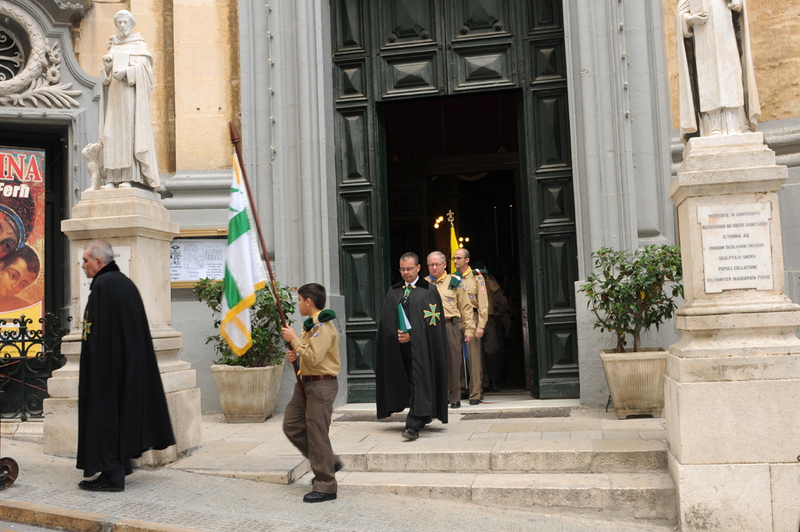 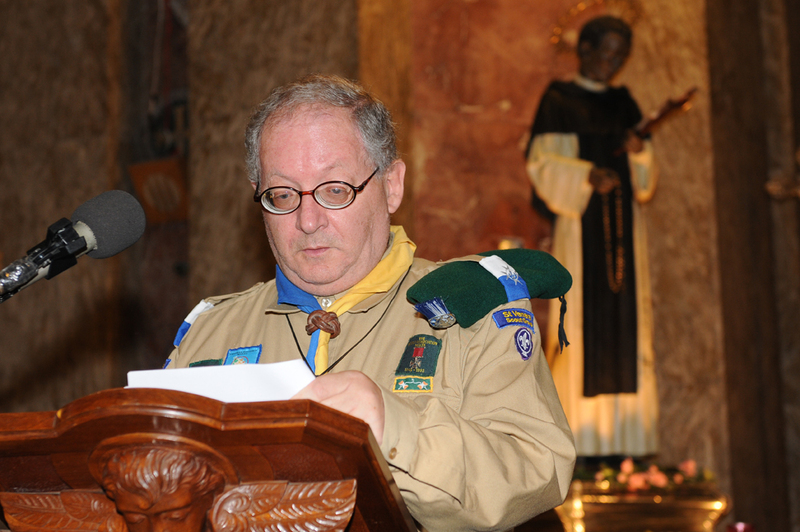 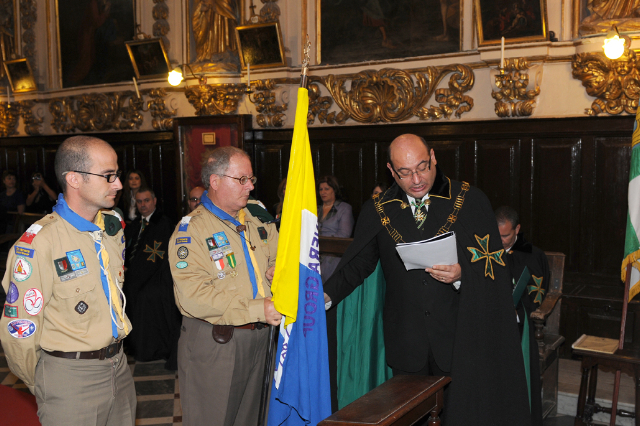 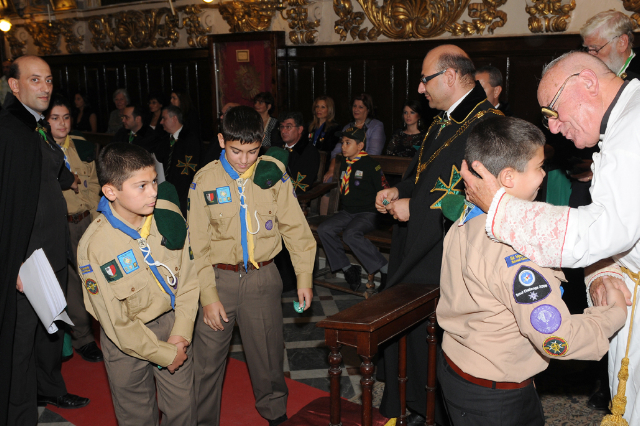 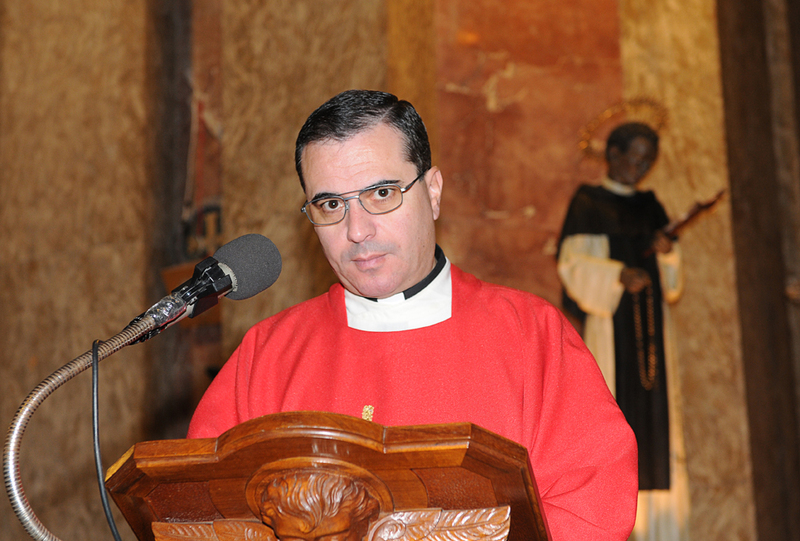 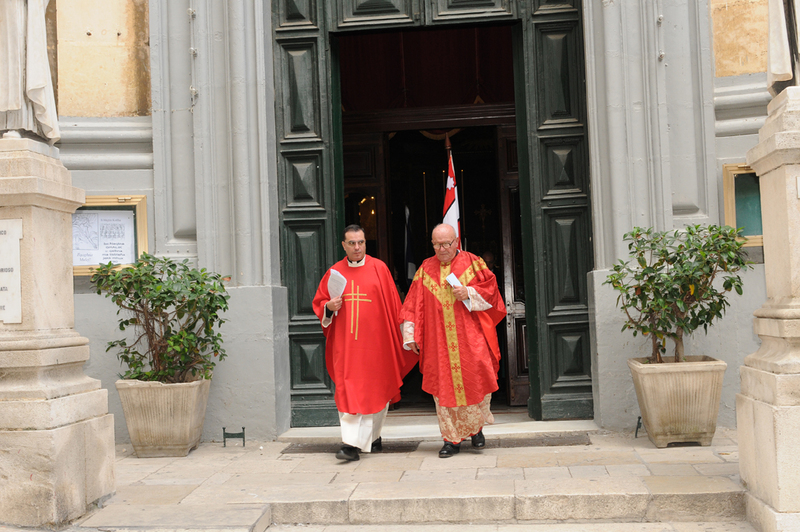 The investiture was led by the Grand Prior of the Mediterranean, the Most Reverend Monsignor Anton Gauci ECLJ CMLJ and the Chaplain of the Grand Priory, the Reverend Joe Vella Gauci SChLJ. 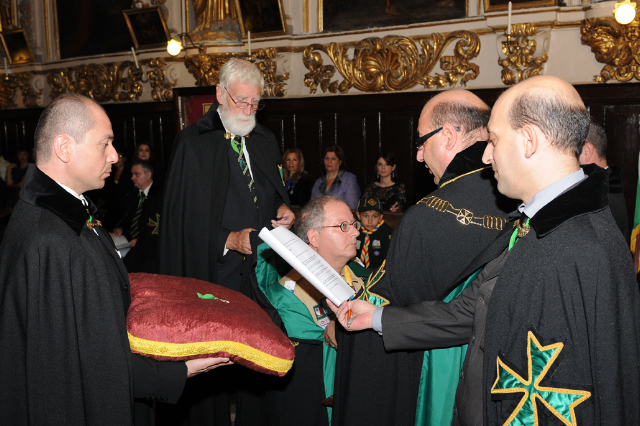 The investing officer representing the Supreme Grand Priory was the Grand Chancellor, Chev. 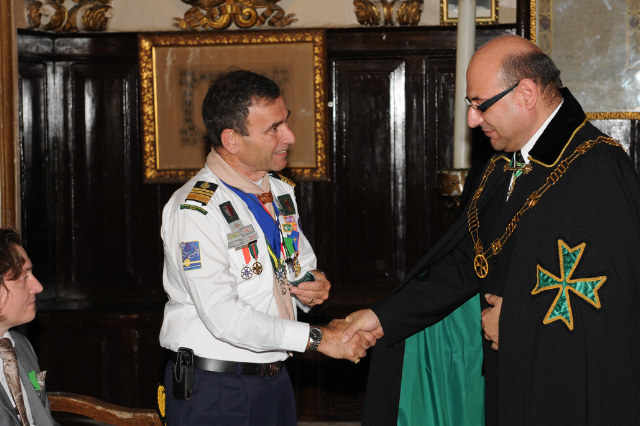 Massimo Ellul GCLJ GCMLJ, ably assisted by his aide de camp Chev. 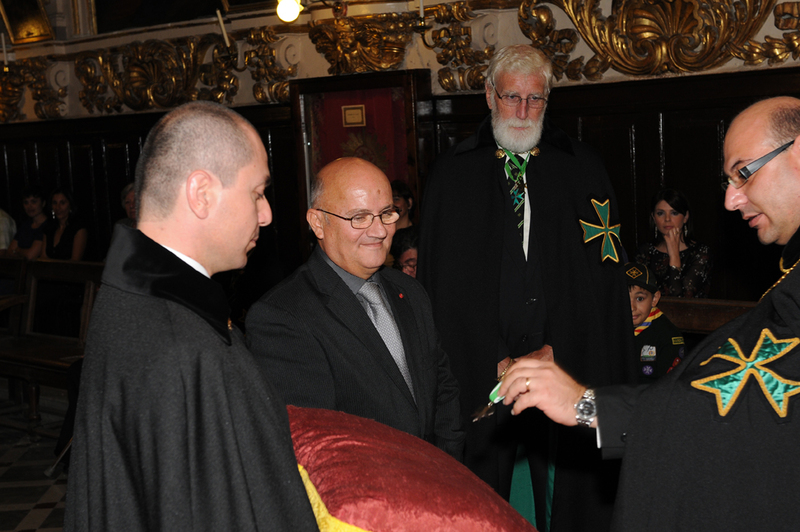 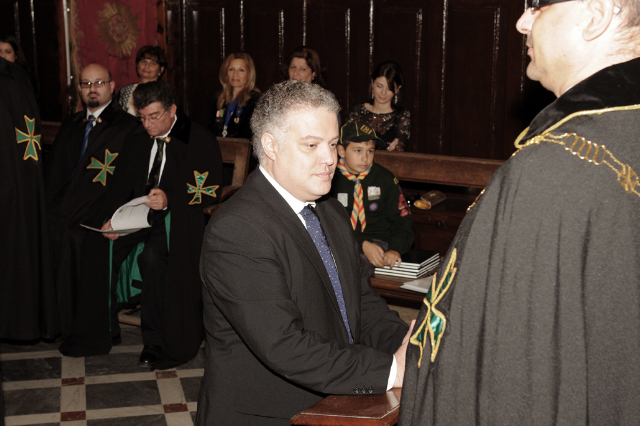 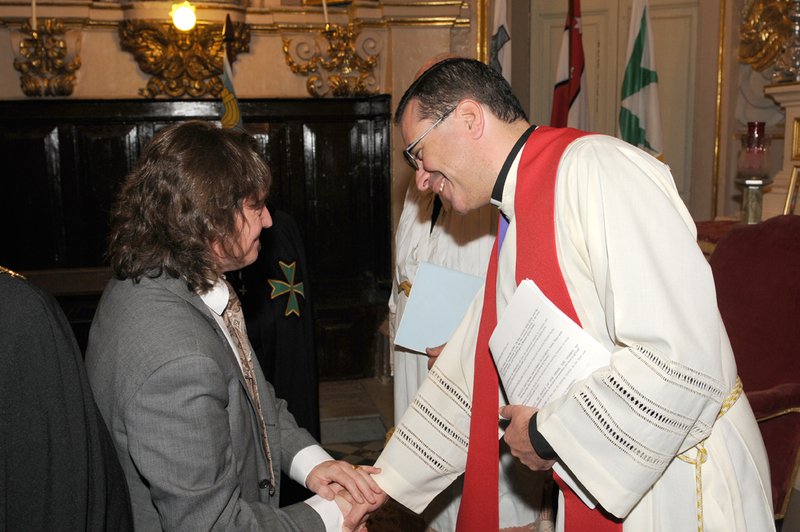 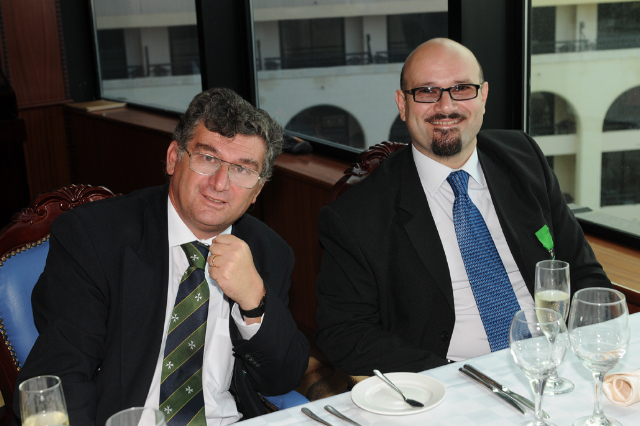 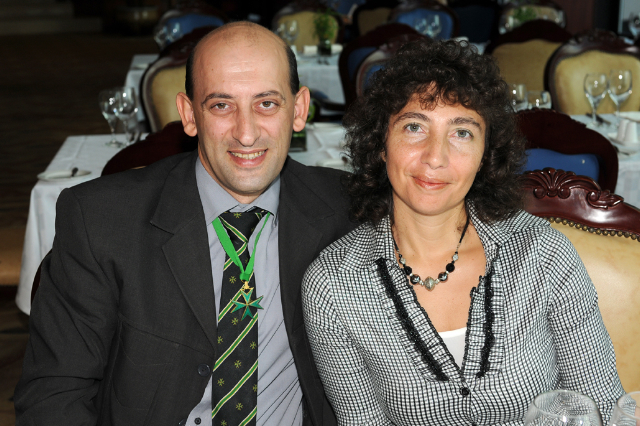 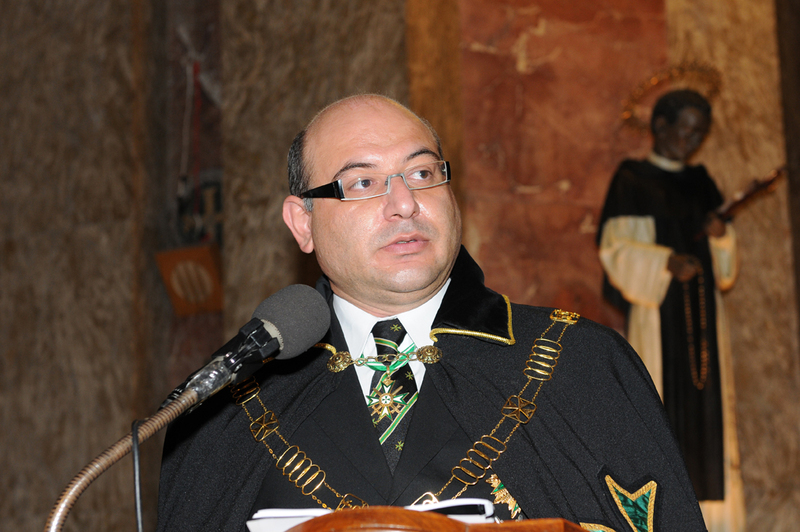 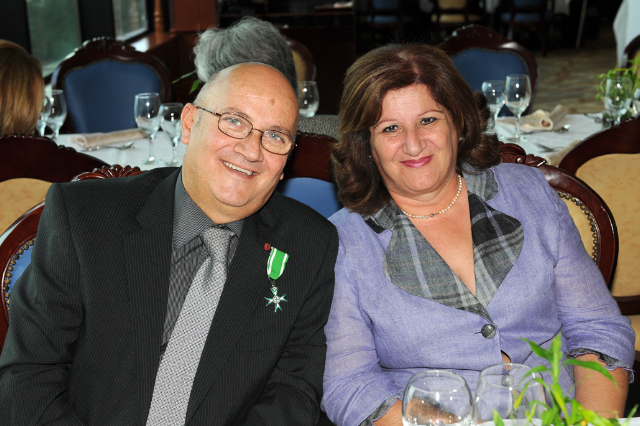 Robert Vella KLJ and the Secretary General of the Grand Priory of the Mediterranean, Chev. 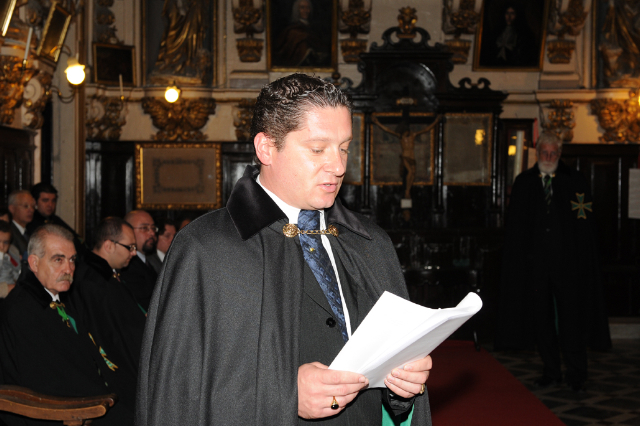 Charles Caruana KLJ OMLJ. 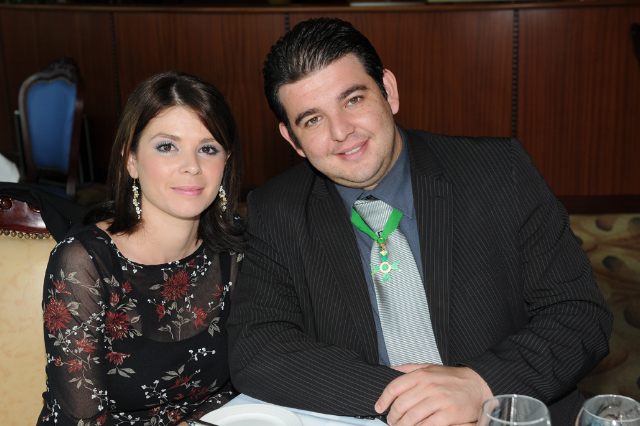 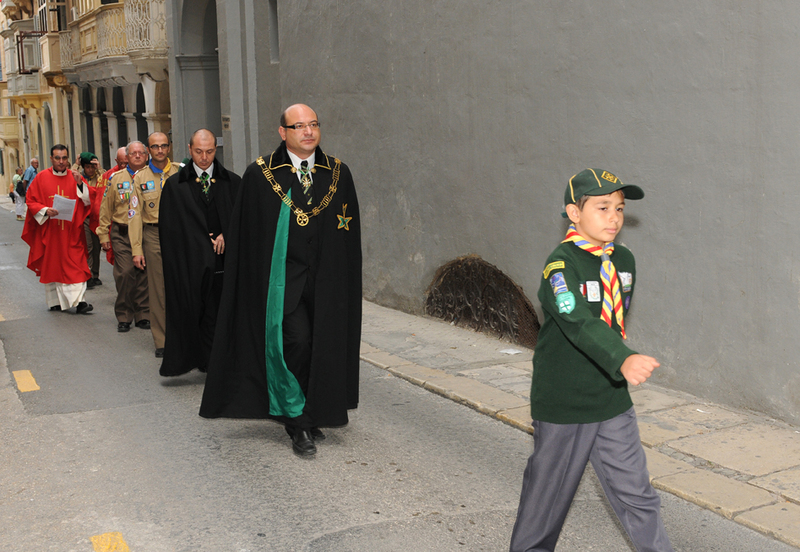 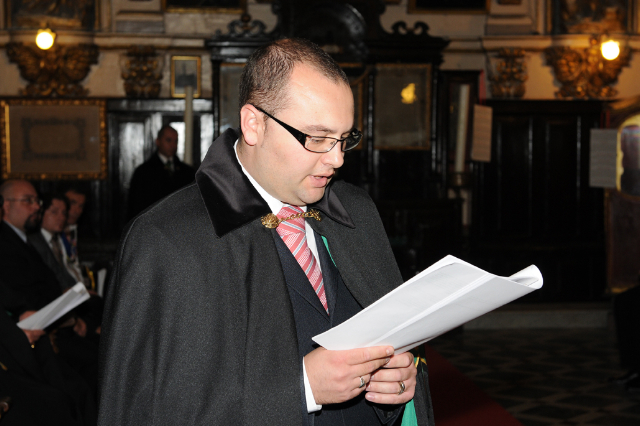 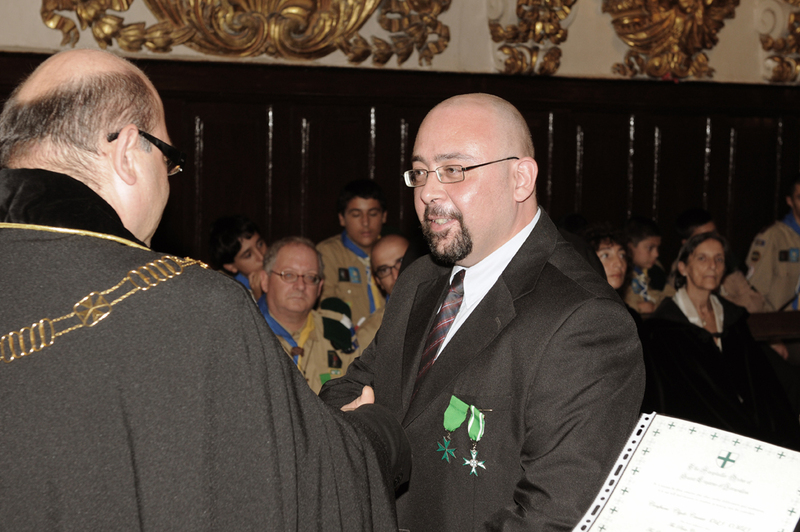 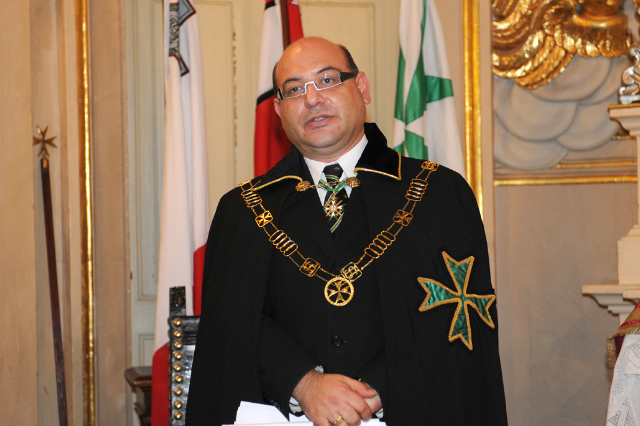 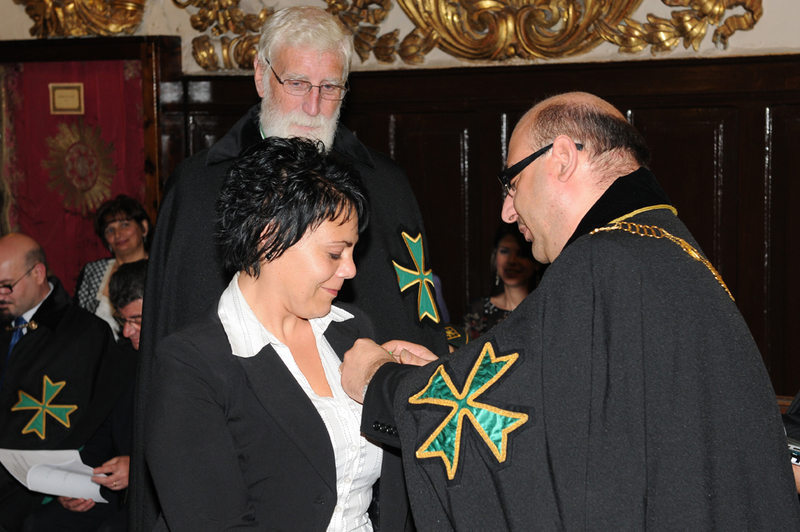 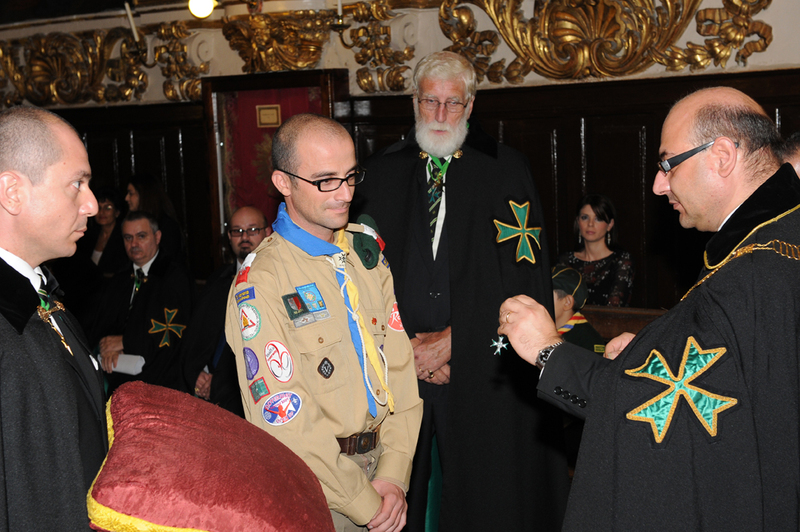 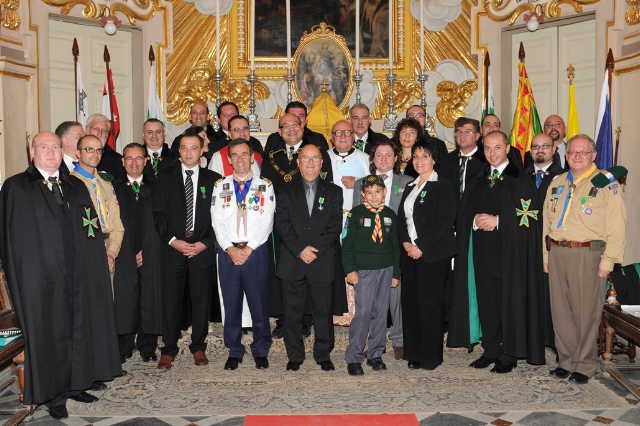 Five new members were brought into the Order in the rank of Officer, including the Mayor of Marsascala and a Councillor from the locality of Tarxien. 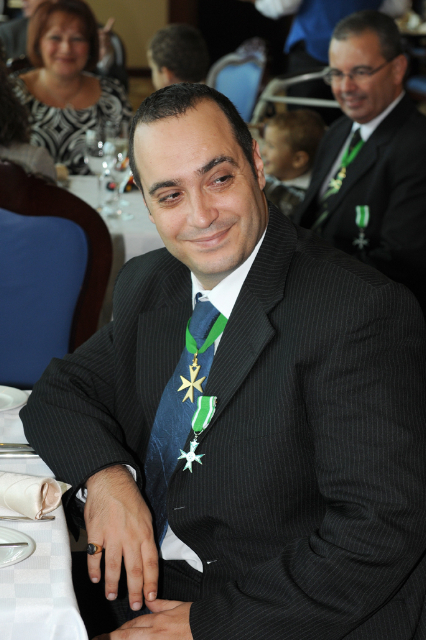 The Deputy Marshal, Chev. 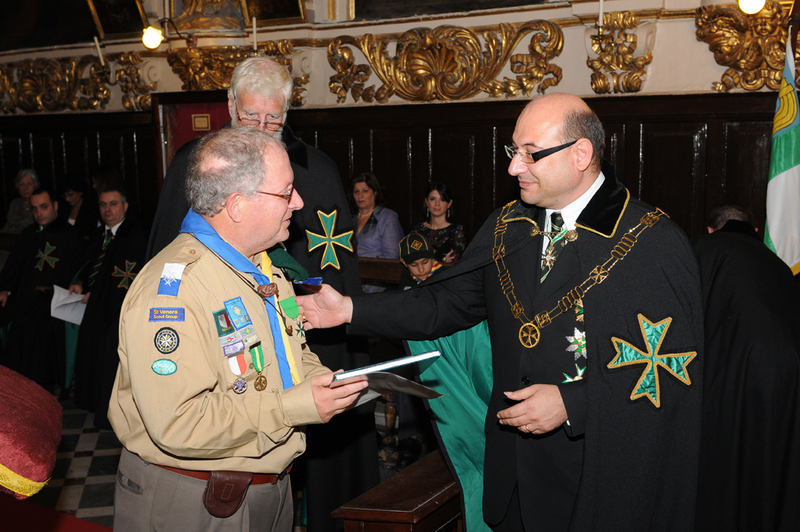 William Acton KLJ, was elevated to the grade of Knight of Grace of the Order. 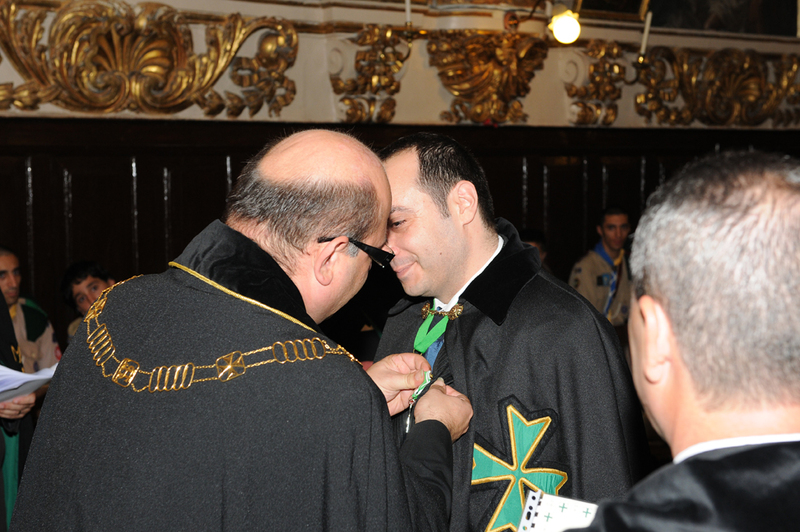 Two confreres of the Order were awarded the Companionate of Merit in the grade of Officer of Merit for their services in assisting in the new premises of the Order. 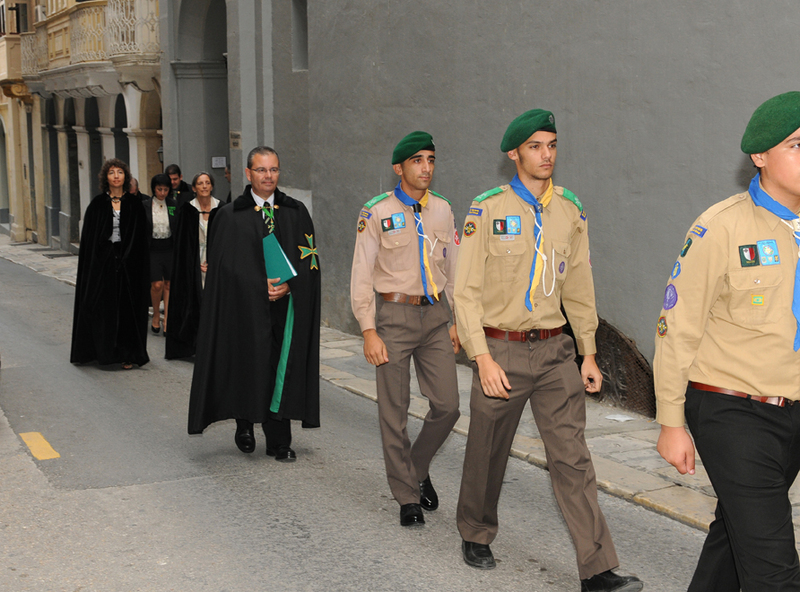 Furthermore, four more confreres and conseours were also awarded the Companionate of Merit of the Order in the grade of Officer of Merit, with the Mayor of Kalkara and the Deputy Mayor of Qrendi being amongst the confreres and consoeurs bestowed with such an honour. 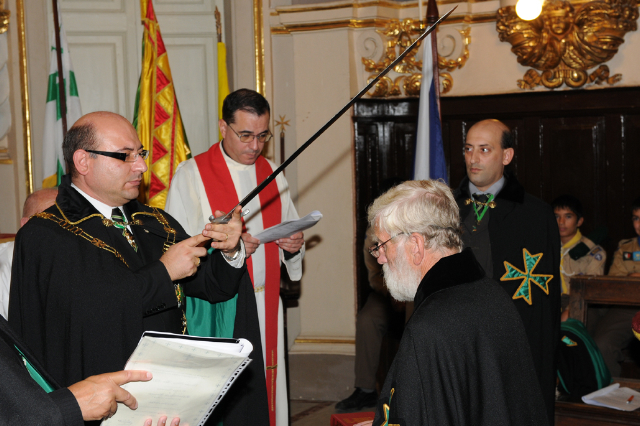 The investiture was then closed with prayer by the assembly, with the Grand Chancellor announcing the next investiture date being the 17th of April 2010. 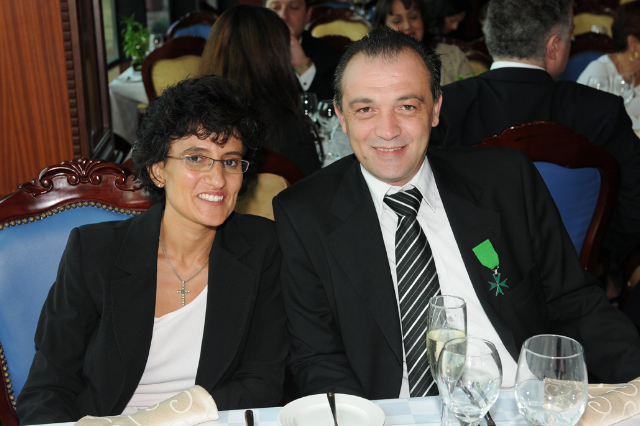 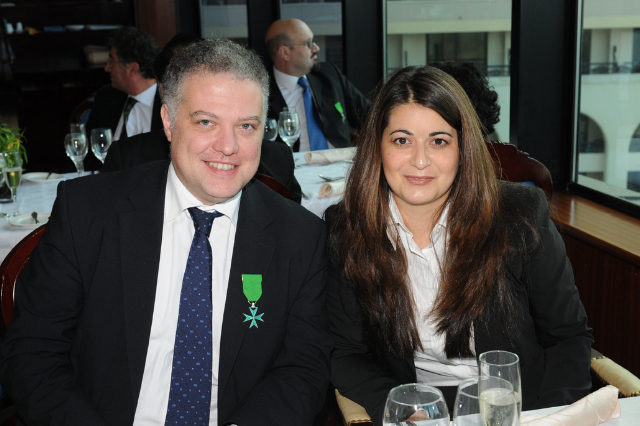 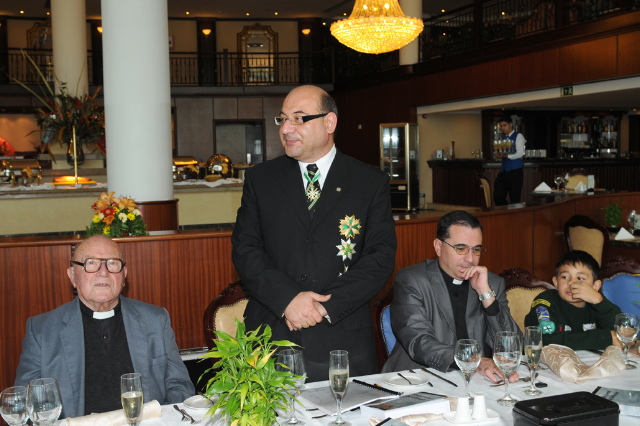 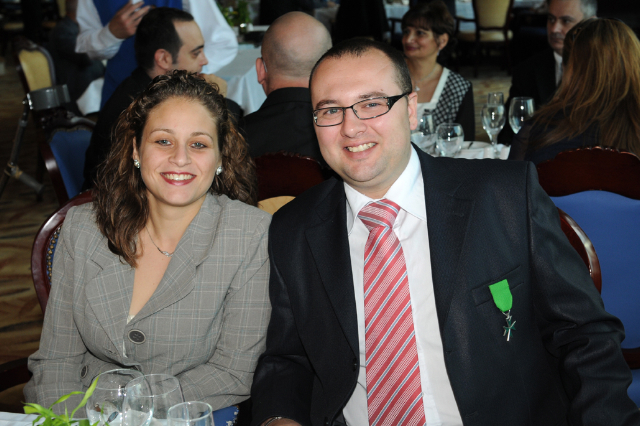 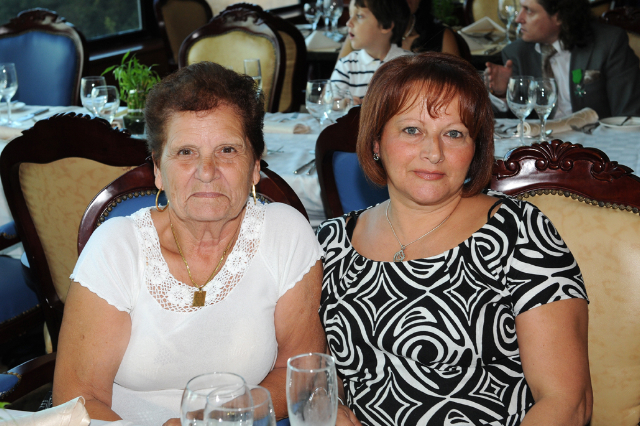 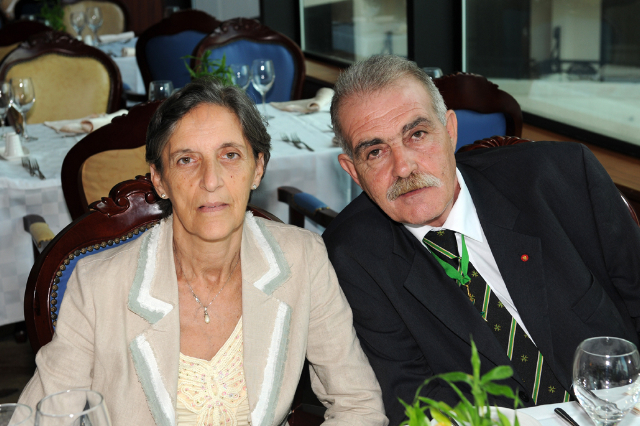 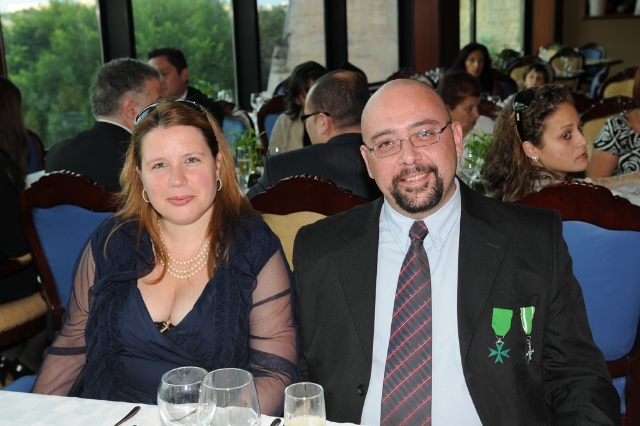 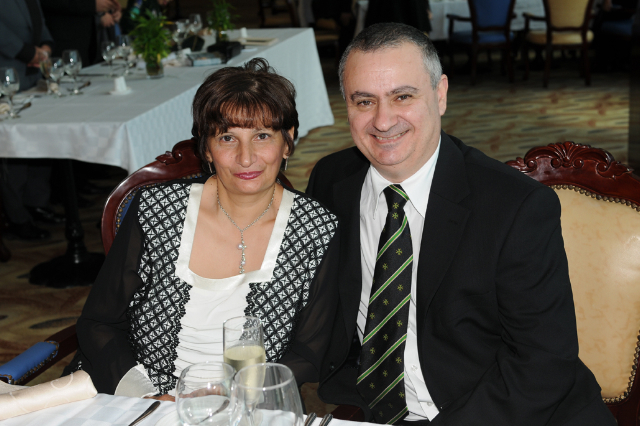 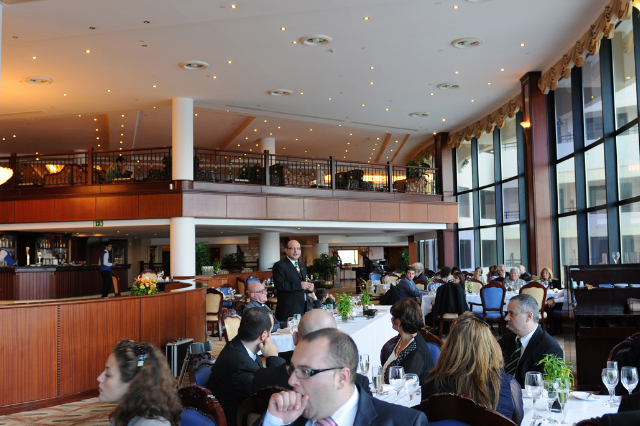 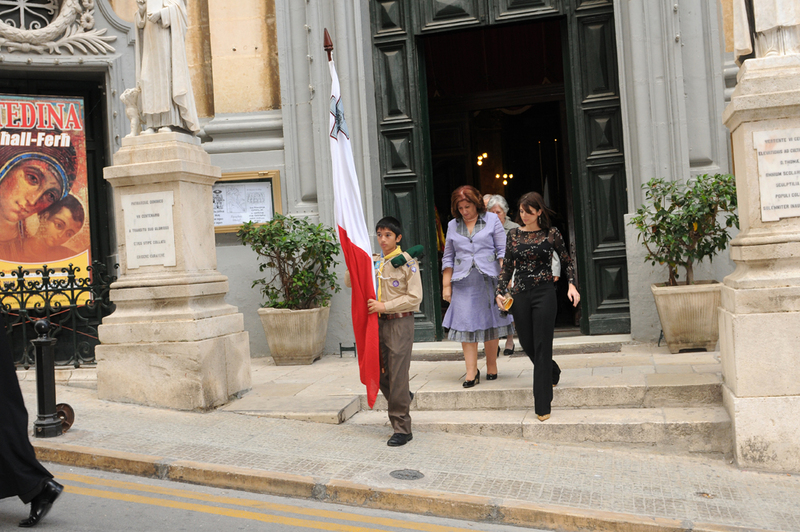 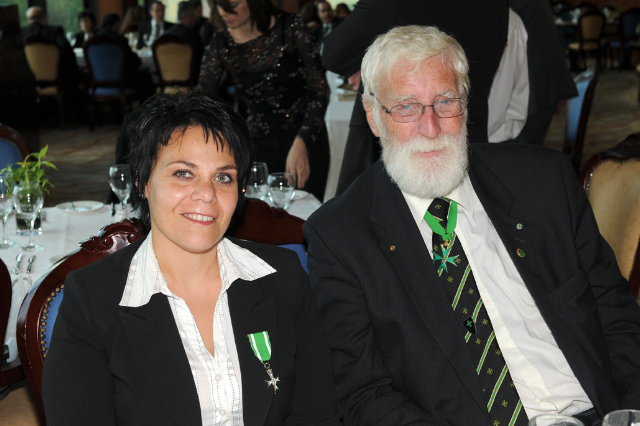 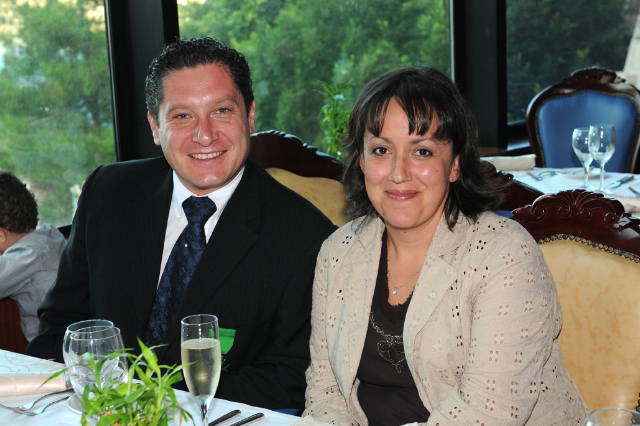 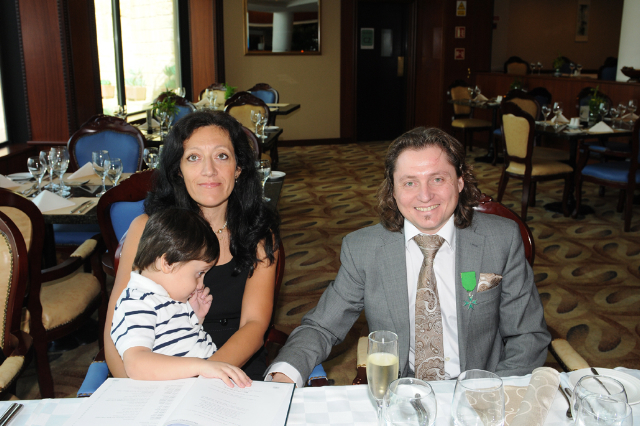 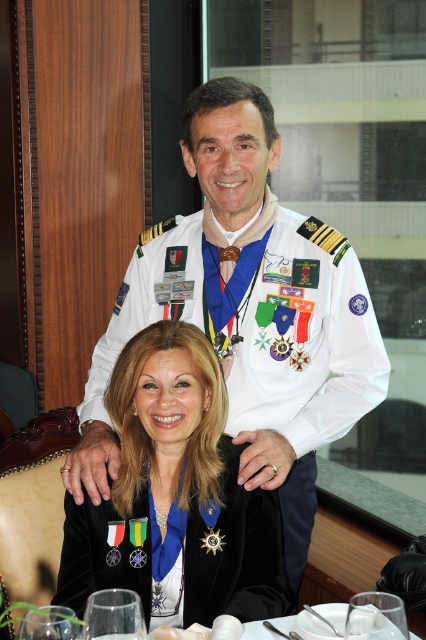 A stupendous investiture luncheon was thereafter held at the Grand Hotel Excelsior. 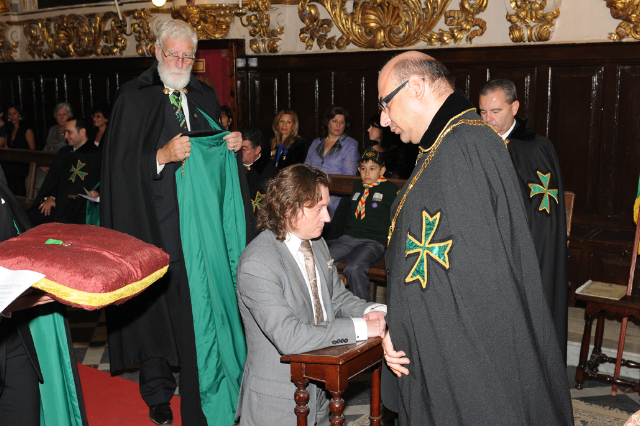 The year 2009 saw the organisation of three investitures of the Grand Priory. 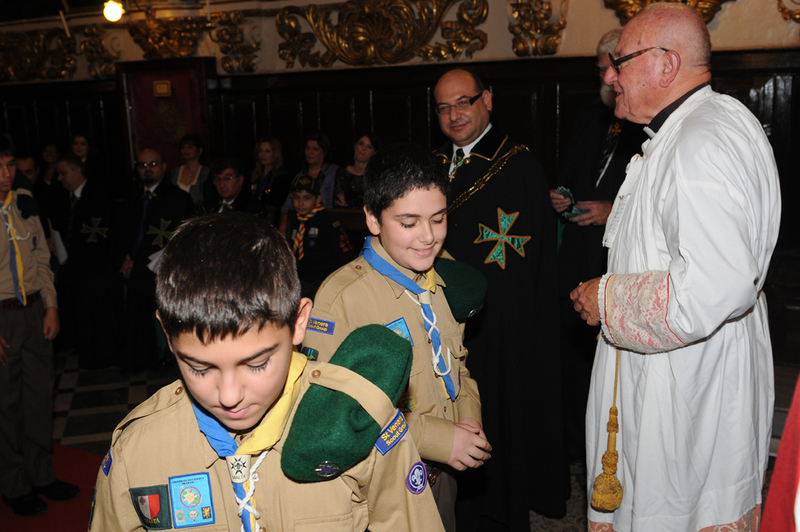 Apart from this being a first, the frequency of investitures also projects the constant work being undertaken to ensure that the growth of the Order in the region is based on solid foundations.